Chart of Accounts: Choose from more than 350 pre-built accounts (properly titled and numbered for the construction industry). Need a less extensive Chart of Accounts? We now have an "Essentials" view (see new "Views" info below). Item List: Choose from more than 336 construction-stage categories and 1,500 job-cost Items (each Item accurately linked to appropriate accounts). Pre-set Special Jobs: Will help you track overhead costs such as vehicles, equipment, admin, etc. Payroll Item List: If you have employees, you will be able to track admin, sales and direct labor costs (including specific construction activities). Includes Labor Burden Allocation Items to help you automatically assign labor burden percentages to jobs. 60+ Sample Transactions: Examples show you how to make typical entries (each transaction includes instructions). Other Pre-built Lists: Payment Method, Terms, Vendor Type, and Customer Type established. File Preferences: Most-often-used construction company File Preferences have been pre-set (modify as desired). ...For example Balance Sheet, Profit & Loss, Accounts Receivable and Payable. ...Include Profit & Loss by Job, Estimate vs. Actual Costs & Income by job phase for individual jobs, plus many other analytical reporting options. This book by Diane Gilson is your reference source for underlying accounting concepts, insights, controls, procedures, and management tips. Reader-friendly text helps non-accountants understand construction accounting basics, while illustrations and instructions guide you to useful company and job-cost reports. All potential Accounts and Items are displayed as “active”. You choose to inactivate Accounts or Items that you believe that you will not currently use. After an account or Item is inactivated you can choose to NOT see it as you work in QuickBooks. If you need to use it in the future, you can easily re-activate it. For start-up businesses, or companies who wish to see fairly summarized job-cost and company reports. We have pre-activated only the most frequently used accounts and Items within AccountingPRO™. You still have access to all of the same Accounts and Items that are available in the Comprehensive View. If you need to use any of the remaining Accounts or Items to reflect your reporting needs as your business evolves, you can easily activate them. “I chose AccountingPRO™ over other QuickBooks® systems available to builders because of its capability to provide traditional accounting reports as well as the detailed job-cost reports that I wanted. I also find that it is very flexible. This is important to me because I handle a variety of jobs, including architectural design, building, and remodeling and I find that I can easily adapt it to my company’s unique circumstances. It lets me create my own job-costing system inside its pre-built structure. Price Includes 30 Minute Support Call! We are so confident that you will be happy with this program that we give you a full 60 days to use it so you can decide if you want to keep it. If not, we’ll refund your money, no questions asked! QuickBooks Pro, Premier & Enterprise (desktop PC) Canadian versions 2017 & 2018. Fully compatible with industry-specific editions of Premier and Enterprise. AccountingPRO ™ is limited to U.S. 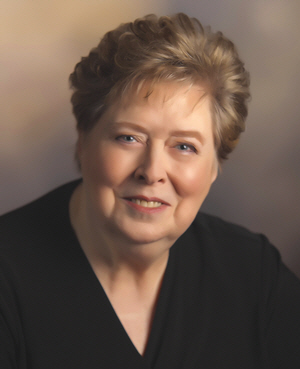 In addition to being an award winning Accountant and QuickBooks Certified ProAdvisor, Diane Gilson has taught, coached, and advised thousands of QuickBooks users in the construction industry. In this program, Diane combines her 30+ years of accounting experience (including 15 years as a CPA) with her passion for job costing. Helping construction company owners, accountants and bookkeepers drive more profits through better financial management has been the heart and soul of her business for more than 20 years. “The setup is so very easy. This is a product I wish I would have found over a year ago. I want more people in my situation to find it. The big accounting packages are a bit cumbersome for us. There's more than we would ever use, they're expensive, there's the learning curve with a new accounting software. I ended up trying to set up our own, and then I found Diane's and hers is so easy. Everything's there and it's so simple to customize. My only regret is, I wish I would have found this a year ago. It was no problem making the transition from our old set of books to AccountingPRO. It was just a matter of hitting our deadline and making the switch." ”The ongoing evolution of building and organizing your own items list; the metephor to keep it straight when you look at all this, you got the forest, trees, and leaves. The chart of accounts is the forest, the trees are the items, and the leaves are the estimating. Since I don't have an accounting background, it became difficult for me to know how much detail and and at what level to put it into. Diane does a great job of explaining that with her literature and her online videos. The framework is already there. It makes it easier to tailor it and get to where you want to go." “Start off going down the right path. Unfortunately, most of us small contractors don't have a financial background. Even if you go to your accountant, the construction industry like anything else is very specific. Getting started as a “construction management accountant”. Could QuickBooks deliver what was needed for construction companies? What happened in the process of helping her first construction clients get started with QuickBooks and job-costing. 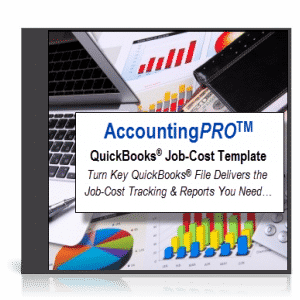 No, AccountingPRO™ is a “done-for-you” QuickBooks construction template (company file) that includes all of the lists and reports shown above. QuickBooks desktop software (QuickBooks Pro, Premier, or Enterprise) was designed by Intuit to be able to create and open an unlimited number of QuickBooks company files. When you purchase the AccountingPRO™ company file, you copy the file to your computer and open it with your QuickBooks software. Simple, easy. When I started my accounting firm more than 20 years ago (in 1994), I decided that I wanted to specialize within the residential construction industry using QuickBooks as my accounting “tool” of choice. For an accounting program, QuickBooks was relatively user-friendly. At the same time it also provided flexibility and powerful job-costing capabilities. But there were some problems. QuickBooks is a very broad-based generic software. With Intuit promoting the concept of “You can do your own accounting with QuickBooks. All you need to know is how to write a check”, many businesses thought they could simply jump into doing their own accounting without any in-depth accounting training. Any type of accounting software requires users to learn its features, flows, and intricacies. Job-costing, even for trained, dyed-in-the-wool accountants, can be a challenge. The construction industry has relatively complex accounting requirements that vary depending on specific types of construction. The “construction-industry-specific” Chart of Accounts and Item Lists provided with QuickBooks (even within the Premier Contractor version of the program) were nearly always inadequate to meet the needs of the clients I was working with. I consistently found that their “hair-pulling” frustration and reporting issues typically STARTED with these prior, underlying “structural set up” problems. Yes, the problems could be fixed. BUT you have to know what you’re doing, and what the structure SHOULD look like when you’re done “remodeling” the existing file. Thus, the fix-it process was time-consuming and costly. In 2000, in cooperation with the National Association of Home Builders (NAHB), I wrote a book (Accounting With QuickBooks for Builders & Remodelers – 300+ pp). It included extensive information about how to manually create proper setup lists in QuickBooks. So I decided that a solution to both of these BIG issues (fix-the-problem-file, and set-up-everything manually), would be to develop aQuickBooks construction template. A “model” company file that businesses could use to get a fresh start. The goal was to create a QuickBooks construction template (company file) that would relieve the pain of confusing, frustrating, inadequate, and inaccurate construction reports. I decided to create a solution that would help both new and existing business owners achieve logical, consistent, and meaningful reports. And that’s why, and how, AccountingPRO™ came into the world! I totally understand. Most companies, regardless of size, only need to use a PORTION of the accounts, and only CERTAIN Items. But each company’s needs are different, so I’ve built in most everything that any residential (and most light commercial) construction companies could potentially need. All you’ll need to do is to “hide” (inactivate) accounts or job-cost items that you DON’T want to use at this time (a simple mouse-click in QuickBooks). Then, if you find that you need to use one of the “hidden” accounts or items in the future, simply re-activate it. This gives your accounting system both flexibility and the ability to “scale” for future growth or expansion. Yes, as you move through your business life, you’ll find that various organizations may provide “suggested” listings for Charts of Accounts, job-cost tracking codes, etc. And they may require you to periodically report financial activities to them in specific formats. When I first created AccountingPRO™, I started with the NAHB Chart of Accounts. For job-cost codes, I reviewed the NAHB list as well as several other estimating systems in order to compile a very comprehensive (yet reasonable) set of job-cost/job-stage elements. Then we sorted the job-cost codes into “construction order”, and created a numbering system that will display results in construction-progress order. I’ve used these accounts and job-cost codes with many, many clients. Over time, both have been extensively reviewed and upgraded to work in the best ways for them. I believe that (for QuickBooks users) our revised Chart of Accounts and Job-Codes (Item List) provides results that exceed the original. Yes, simply edit and change to your desired name or number. Yes, you can do that. QuickBooks makes it very easy to add accounts and items. For consistency, you will likely want to use existing accounts, items, and numbering systems as your “model” for additions or changes. Yes. The Chart of Accounts and Item List have been designed to handle any of the above types of construction situations. How income and costs are recognized for various types of construction can vary, and may require specific types of adjustments at the end of monthly or quarterly accounting periods. My documentation helps to guide you through those specifics. Yes. Give us a call at 734-544-7620 (9-5 Eastern, M-F) for reduced pricing on additional copies. Unfortunately QuickBooks does not allow the merging of files. Your AccountingPRO™ file will provide you with a fresh “clean start”company file. The good news is that you can leave old, bad structural setups behind! That said, you will still want to post certain account balances from your prior file as “beginning balances” in your new AccountingPRO™ file. I have provided full instructions regarding how to do this. Although mid-year changes mean that you will need to enter somewhat more year-to-date detail into your new file, one advantage of a mid-year transition is that you aren’t already in the throes of year-end work. (January and February can be stressful accounting months for many companies!). A mid-year switch allows greater opportunity for you to plan, manage, train, and and implement the change in a less pressured environment. Many companies have never explored or used many of QuickBooks’ advanced job-costing features. We have designed the AccountingPRO™ QuickBooks construction template to take full advantage of those features, so it is likely that you will find a variety of differences in the way that you enter transactions and create reports. You’ll definitely want to review the User’s Guide and other documentation to learn how to gain the full benefits of your new system! If you’re a “visual learner” I’ve created an extensive series of online recorded QuickBooks Construction Accounting Training Classes. Other people may prefer to have an Info Plus Accounting consultant guide them through the transition. In that case, you can contact our office at 734-544-7620 to discuss consulting options. I perform a lot of the data entry, but have no accounting background. I find the data entry very easy. It makes accounting make more sense to me. When I can look and see how how things are set up, I can understand how things are working.